Owning a home still has more appeal than renting for Americans, according to Fannie Mae. 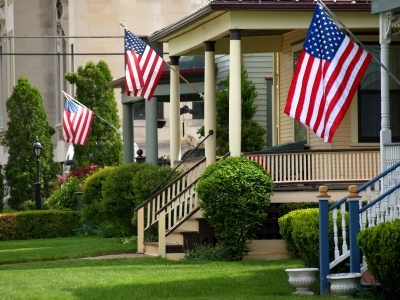 A sign of stability, safety, family and community, home ownership is an essential component of the “American Dream” of success and happiness and has been for many generations. The recent National Housing Survey (Q4, 2011) conducted by Fannie Mae found that this is still true. The majority of those surveyed (at all education and demographic levels) still believe that owning a home is preferable to renting. The study, conducted from over 3,000 interviews, also showed that 64% of the renters surveyed planned on a future home purchase. Most of the survey participants listed high-ranking schools and safety as prime concerns when considering the location of that future home. About 34% of those interviewed felt that “now” is a very good time to buy a home, but only 5% felt it was very likely that they would be purchasing a home in the next 12 months. The majority of survey participants (53%) felt that the housing market was likely to stay the same in the next year, but nearly all realized that the possibility of rental prices decreasing was unlikely. In fact many of those surveyed recognized the possibility of rental prices increasing, with 43% believing rents would increase and 47% believing they would stay the same. The majority of the respondents listed income, amount of down payment or job security as the largest obstacle to home ownership. Click here to review the entire survey.